All the days of your life are written in My special book. the days that were ordained for me, when as yet there were none of them. I like this Bible verse best from the NIV Bible which says... "your eyes saw my unformed body. All the days ordained for me were written in your book before one of them came to be." (NIV) What an amazing promise! Before our body was even formed, the eyes of God were fixed upon us. Before we even breathed one breath, God had created a special book that contained each day of our lives. In the ministry that God has called us to, we often hear that people struggle to feel like they belong in this world. If they were born out of an unplanned pregnancy, they might feel like their life was not intentionally planned. We have heard from many dear people that they have felt all of their lives that they were a mistake! If you struggle with any of these feelings, it is my hope and prayer that this promise would settle once and for all the irrevocable truth that it was God Himself who planned your life before the foundation of the world. It was not your parents that ultimately planned your existence, but your loving Heavenly Father. 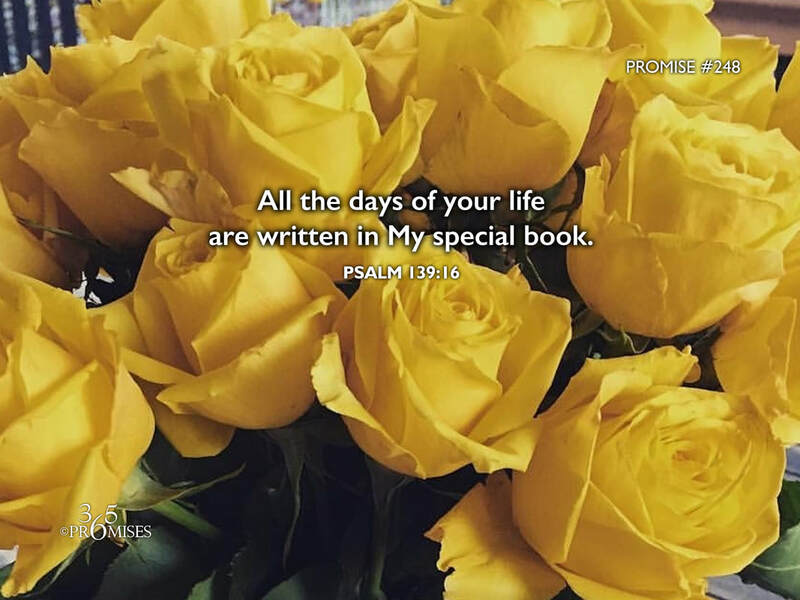 Every one of your days was written in His special book before one of them came to be! What attention to detail! What indescribable love! You were wanted by the Creator of the heavens and the earth and He has a plan to prosper you and not to harm you, to give you a hope and a bright future (Jeremiah 29:11).